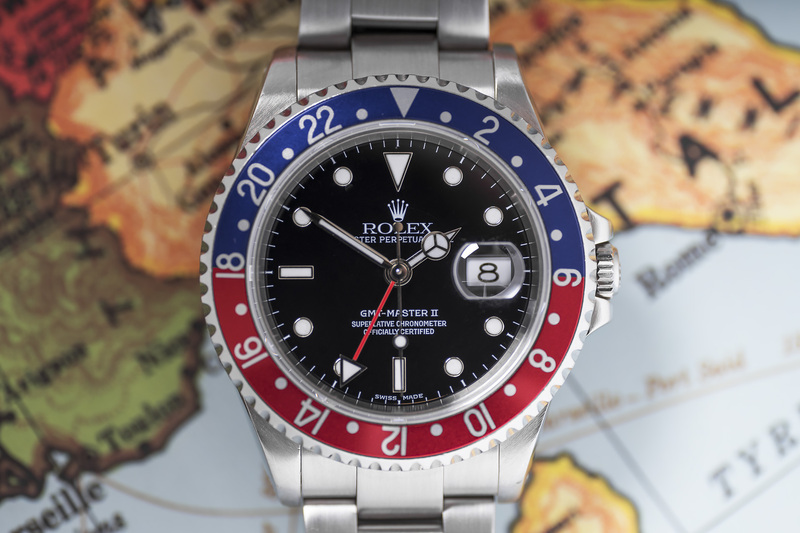 As collectors we all love full set Rolex watches! That’s why we’re happy to offer you this beautiful and excellent 16710 GMT, accompanied by its original boxes and paperwork! 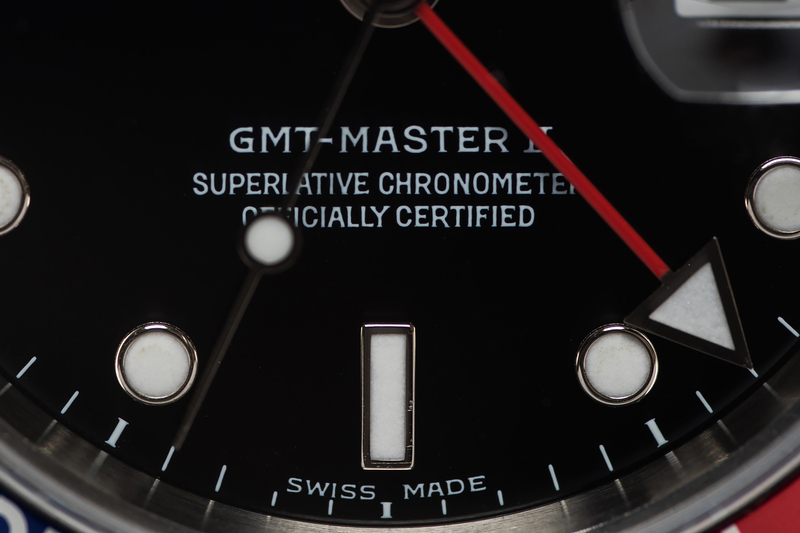 Apart from its completeness, this modern GMT also features the more rare ‘ pinholes’ center-case. 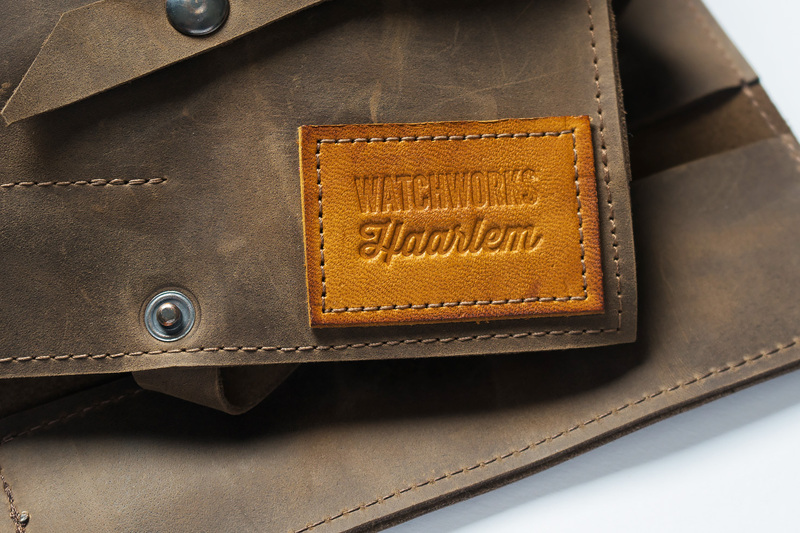 This more vintage style case has small holes on all four sides of the lugs to easily remove the Oyster bracelet. 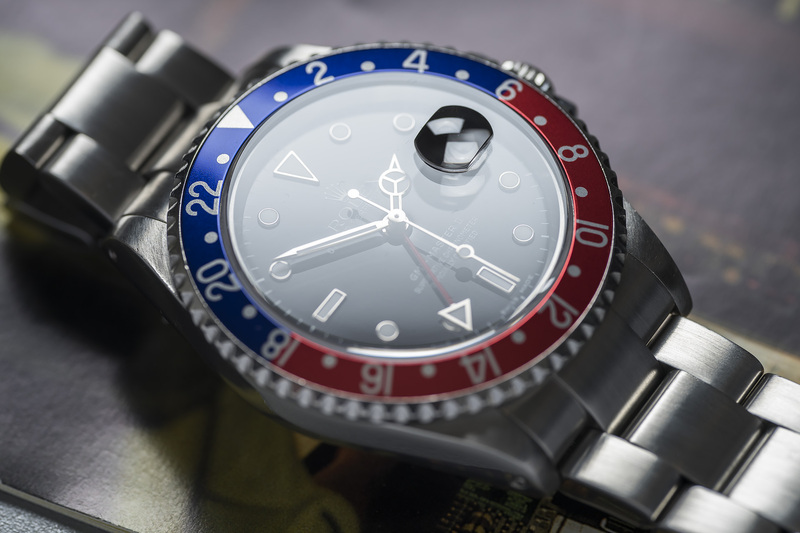 As of 2003 these cases for the 16710 were replaced by the more modern, non-pinhole case, so our 2002 GMT is amongst one of the last GMT’s to feature this case design. The entire case is nice and thick with strong crown-guards and sharp winding crown. The watch its 78360 Oyster bracelet with Solid End Links is in a very good condition and shows little to no stretch. The black glossy ‘Swiss Made’ dial is simply immaculate with white gold edges surrounding the Superluminova hour-markers. All the hands are perfect and have no damages whatsoever. 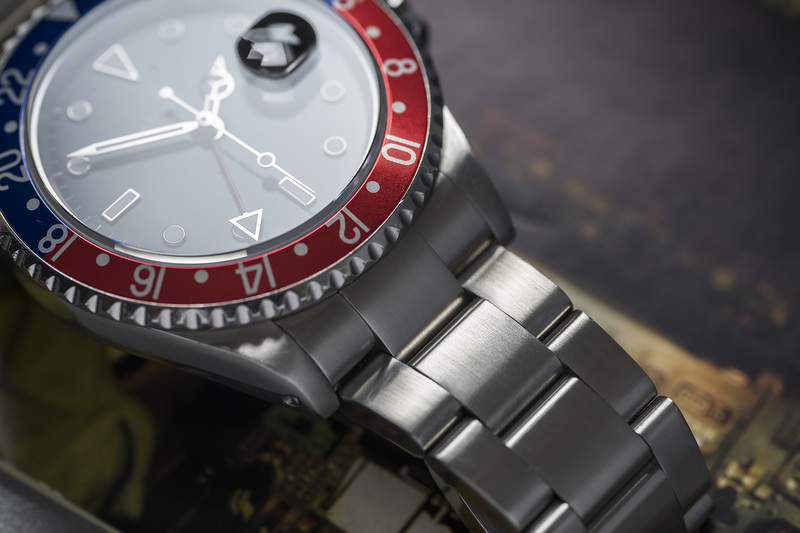 The stainless steel bezel looks unpolished and shows strong and sharp edges all around. 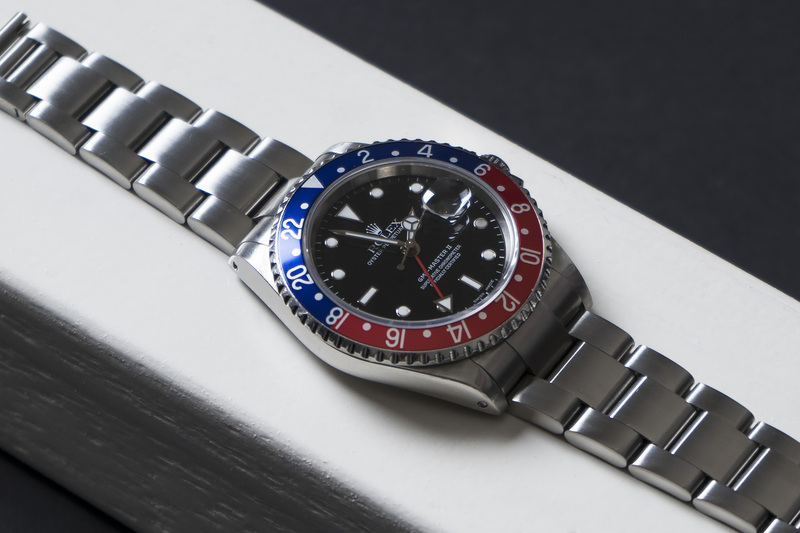 The desirable ‘Pepsi’ inlay is already fitted on this 16710 GMT, but apart from the Pepsi inlay, a Coke inlay is also present. This Coke inlay features the modern variant of the so-called fat font (thicker and wider numerals) but apart from this, that fat font also has the desirable Serifs, making the bezel really pop! 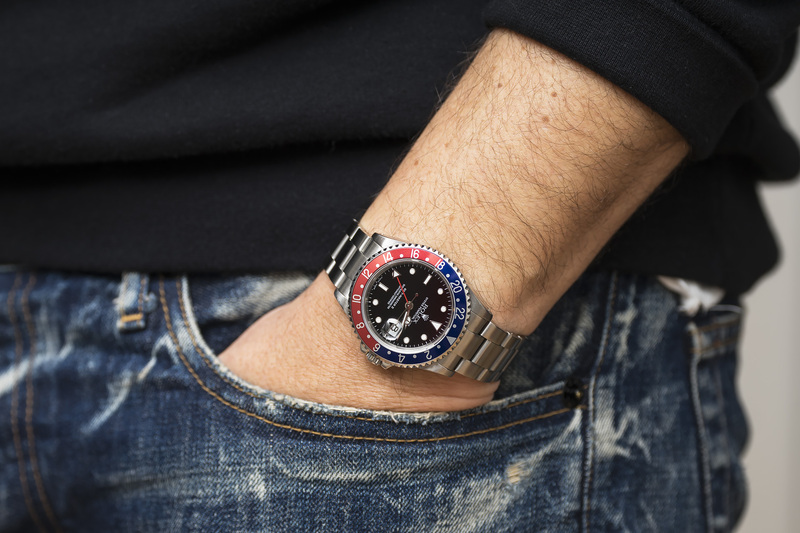 As with all things Rolex and Serif combined, once you’ve seen it you can’t unsee it, and you’re spoiled forever. 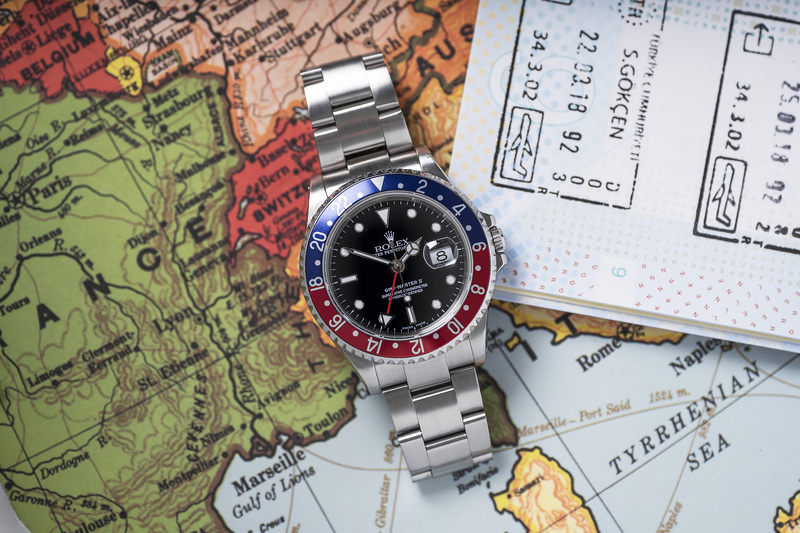 In short; This is just one hell of a GMT! 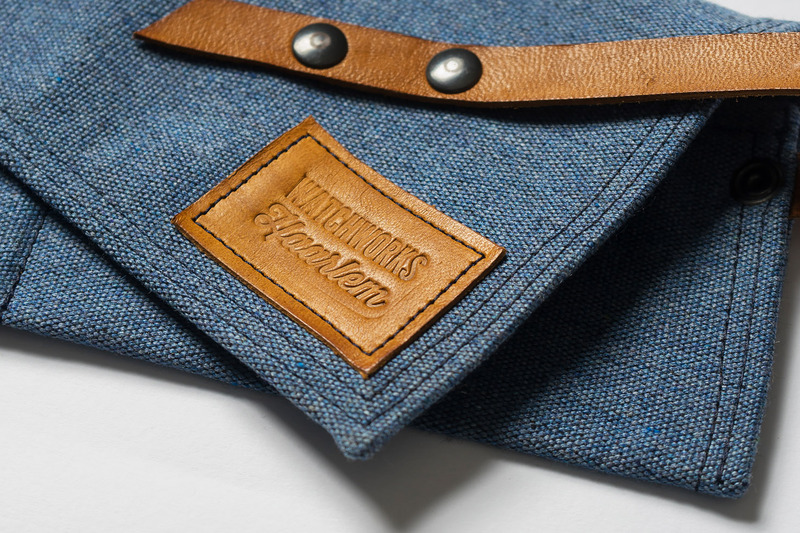 One that has been out of production since 2007 and becoming more and more in demand everyday. 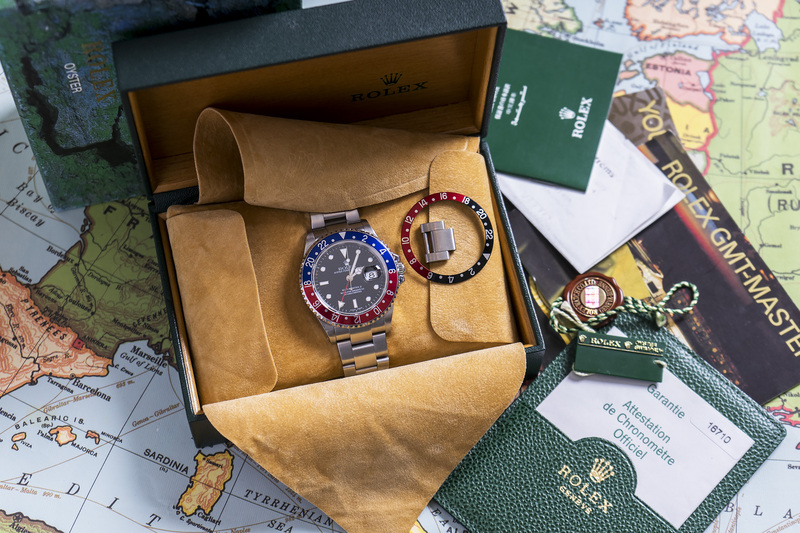 Watches like this with just that little bit of extra (like the pinhole case) accompanied by their original boxes and papers, will be harder to find in the future, and prices will only keep rising. 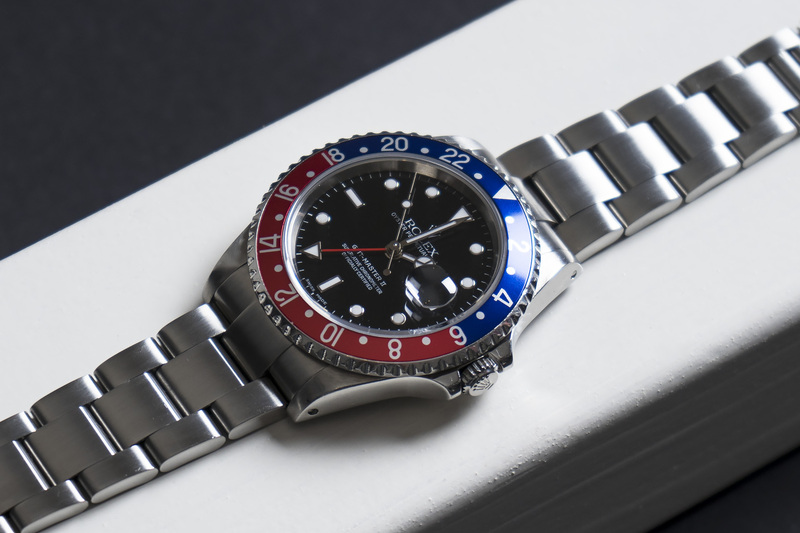 Don’t wait too long… This GMT is accompanied by the original inner and outer boxes, punched warranty paper, a 2014 service receipt, hangtags, FF Serif Coke inlay, booklets and spare Oyster link. 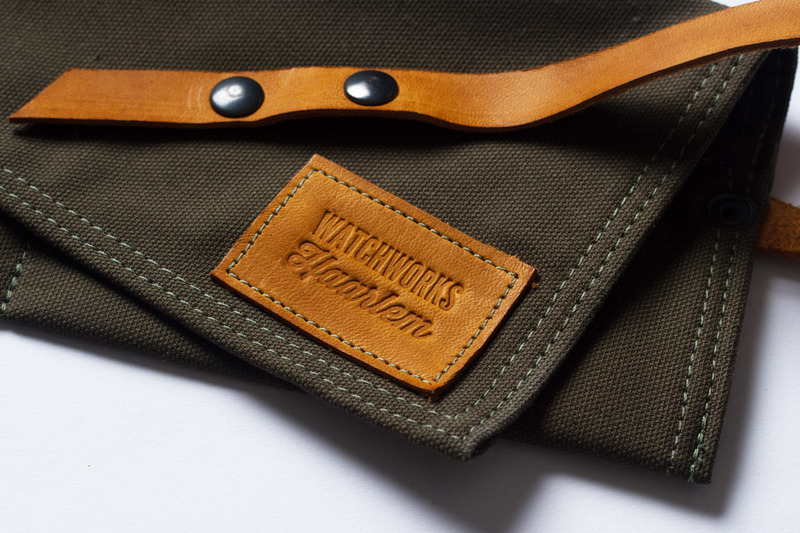 The watch was fully serviced by our watchmakers and will be sold with a 12 month warranty.